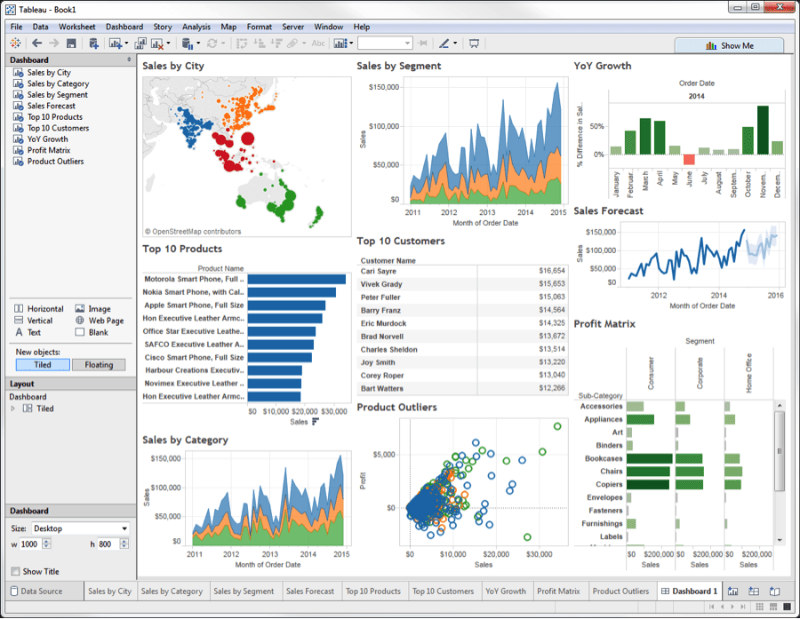 Tableau provides a family of interactive data visualization tools for business intelligence. However, nothing can be analyzed or visualized effectively until the data has been located, acquired, refined, grouped, secured, and otherwise prepared for the visualization(s). IRI software provides high-performance, affordable data blending and preparation for Tableau in a tota data management environment supporting data discovery (and classification), integration (ETL), migration, governance, and analytics. Use the IRI CoSort software -- or the larger IRI Voracity platform powered by CoSort or Hadoop -- to extract, filter, transform, and protect data in more than 125 different sources. Specifically, the Sort Control Language (SortCL) program designed initially for CoSort selects, sorts, joins, aggregates, maps, masks, and reformats data into subset CSV, XML, RDB table, and other user-defined targets outside the BI layer. Tableau easily ingests these results. Staging data in this way bypasses the need for Tableau to integrate and reconciliate the raw data, which would take far longer to design and run. The centralization of data wrangling or munging activities also precludes the need for data crunching in every report, and the data synchronization problems inherent in that approach. See this article for an example of using CoSort ahead of Tableau to improve time-to-visualization by 8X.